From Thanksgiving to Black Friday and Cyber Monday, marketers sure have been busy. With so much competition for consumer attention during the holiday season, how can marketers cut through the clutter? Take a cue from these eight examples as you’re fine-tuning your holiday content. Century 21 is also using the holiday as an opportunity to encourage its community to eat slow and enjoy time with loved ones. The video was promoted via Facebook, Tumblr, and the #C21EatSlow hashtag on Twitter. Instead of promoting Black Friday shopping, REI took a bold approach by proactively encouraging its employees and customers to #OptOutside. To do so, the company announced that it would close all 143 retail locations and pay its 12,000 employees as though it was a regular workday. The company made this announcement in a video with CEO Jerry Stritzke and encouraged its community to instead #OptOutside. 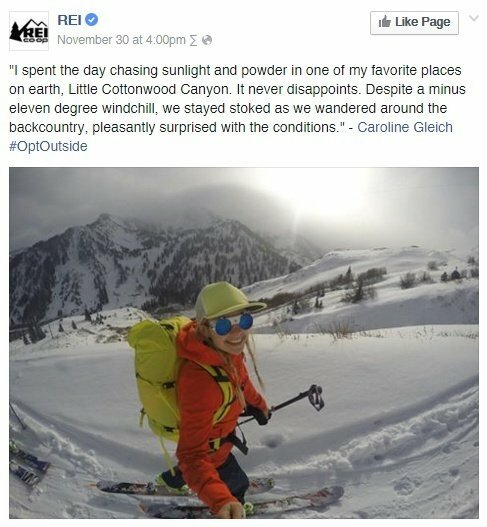 To continue the conversation, the company shared the images and stories of customers and employees who decided to #OptOutside on its social media channels, putting a human face on the movement. 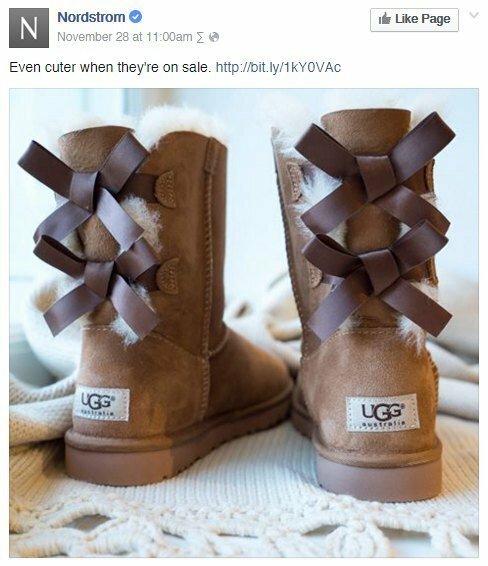 While not every brand is going to start a movement like REI, many companies did use their social media channels to remind consumers that they were closed on Thanksgiving or Black Friday. One of the more clever examples comes from Lowe’s Home Improvement on Facebook with a comical, five-second video of a turkey dancing in the oven and a well-placed #GetInMyBelly hashtag. Simple yet effective, it’s a great reminder that holiday posts can be both sentimental and funny at the same time. The use of short form video in a sea of Thanksgiving themed photos is also notable here, offering Lowe’s a good opportunity to stand out. In a somewhat bizarre yet hilarious example, Coca-Cola decided to kick it old school this Thanksgiving by offering fans a chance to call them—literally. Using a 1-800 number posted on Facebook, fans could phone up the Coca-Cola technical enjoyment center to solve important problems, such as the inability to open their Coke can, or to hear a Thanksgiving fortune, get a Coca-Cola candied ham recipe, and more. From the robotic voice to old fashioned imagery, the experience is akin to traveling back in time. With many brands going straight for the sell, Dunkin’ Donuts and JetBlue took a unique approach by partnering to offer fans a chance to win JetBlue tickets or Dunkin’ mGifts (gift cards). To enter, fans had to share a photo or video of them with their Dunkin’ coffee beverage over the holiday weekend with #DDCoffeeJoy. What’s great about this contest is how it taps into existing behavior for the brand’s advocates—busy people likely to grab a coffee while out holiday shopping or spending time with family. The combination of tapping into existing behavior and great prizes offers a nice way to drive engagement, plus seasonal UGC that can be re-leveraged as content throughout the holiday timeframe. We all love a good deal or chance to win, but it’s hard to beat free—or Drake Big Rings on your Snapchat selfie. On Black Friday, Snapchat users were able to get a free lens developed by Beats, dubbed “Drake Big Rings” in the in-app store, making the company the first consumer brand to run a Sponsored Lens campaign. In an interview with Digiday, a spokesperson from Snapchat said, “Through the Lens, Beats is giving Snapchatters the opportunity to engage and communicate with their brand in a personal and dynamic way.” To drive more awareness for the campaign, Beats partnered with popular Snapchat stars to promote its custom lens and also shared the best selfie snaps from fans on its other social media channels, like Twitter. Some companies just need to go straight for the sell. If you are going down this path, take a cue from Nordstrom, who is absolutely crushing it in terms of social media engagement this holiday season. Pair great imagery and short copy aligned with consumer insights to sell in a way that does not feel too salesy. Posts like the one below showcase that Nordstrom knows its consumers and social media audience by speaking to them in a familiar way, as though they’re a friend. While much of the conversation on Black Friday and Cyber Monday tends to focus on sales, Zappos also reminds us that’s an important time to give back or donate to important causes. From Black Friday to Cyber Monday, the company sponsored FREE pet adoptions across the nation (150+ locations) together with Best Friends Animal Society to celebrate the ‪#‎pawlidayz‬, inspired by a personal story from CEO Tony Hsieh.